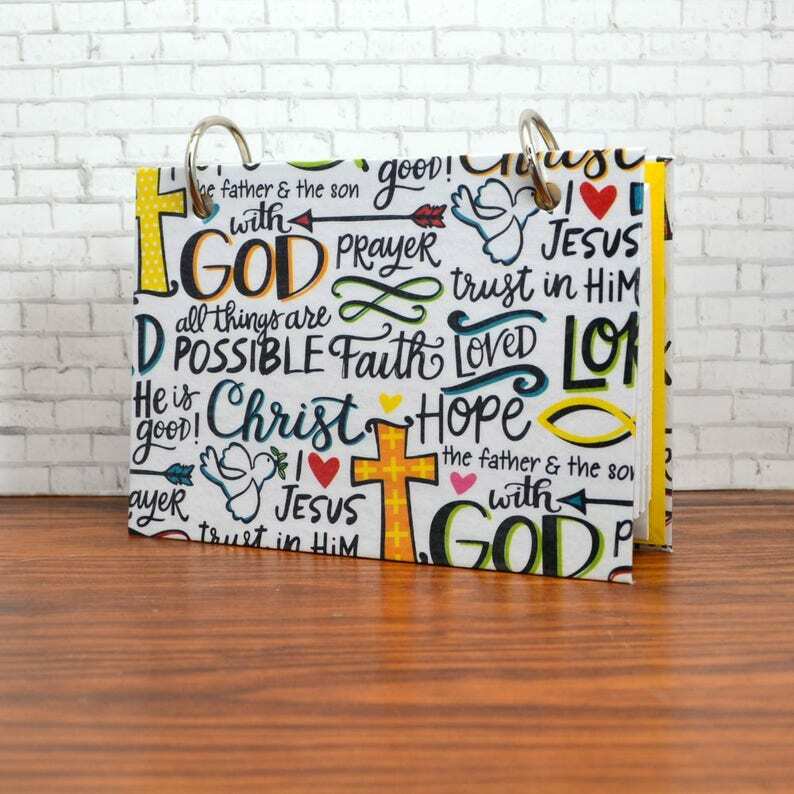 This index card binder can be used for memorizing bible verses, flashcards, prayer request. This binder can easily be carried to your bible study groups. This binder has beautiful wording on the cover, including Jesus Christ, praise Father, God, believe and so much more. emergency, and I just got home. I was so excited to open my package from Art by Sunfire, and I absolutely love my binder and of the mini binders she sent me which was extra. You do fantastic work and this is beautiful. Thank you thank you thank you. It's perfect! Going to come in handy for my verses, prayers, etc.